Now THIS is why I love shopping at our farmers market so much! Today I found a Phone-A-Friend worthy deal on strawberries: $10 a flat! 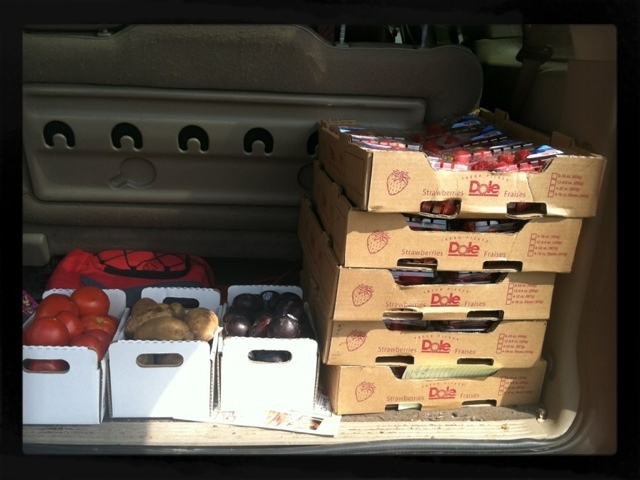 So the grand total for 5 flats of strawberries and assortment of other fruits and vegetables was $61! That's a 75 percent savings! WOW! Congratulations on your good deals. I'm going to head to our Farmer's Market in a little while.